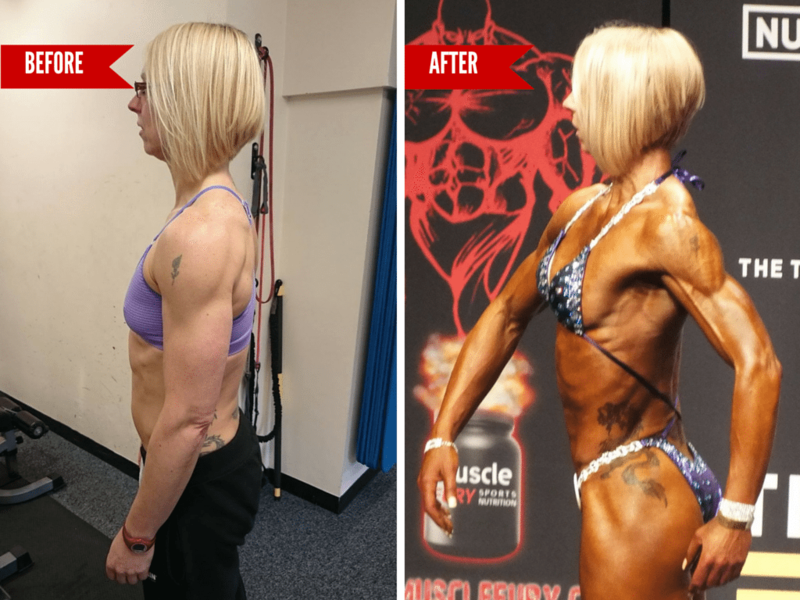 We are thrilled to announce that our very own Sarah Grant won UK Bodybuilding and Fitness Federation (UKBFF) National Championships 2016 Masters Ladies Body Fitness! Amongst all of the excitement, we managed to chat with her about her achievements: including, why she did it, how it felt to win and what we can expect in the future. I have wanted to do a competition for a while now and, since I am approaching 50, I decided that now was the best opportunity to go for it and tick it off my bucket list. I have always been fit, which is a big part of my career as a Personal Trainer and gym owner. 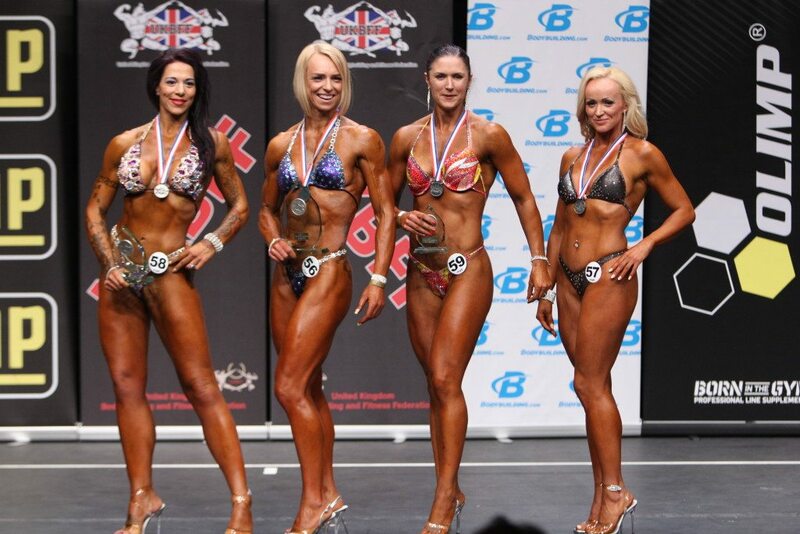 UKBFF seemed like the best way to give myself a goal and a challenge to make all the hard work so far worth it. People were already asking, “Do you compete?” so I thought, hey, why not give it a go! It was exciting to try something new and discover what my body is actually capable of. How did you prepare? What was the hardest part? Preparing for the competition was challenging on two levels: physically and mentally. Under the watchful eye of trainer, Jay Caine, I had to completely change my exercise routine and approach my training from a new angle. Usually, I would teach fitness classes at my studio and join in or do my own training (without much in the way of a target or goal). In preparation, I had to break everything down into specific body parts, structure my routine and ensure that I was getting an appropriate balance between cardio and weight training. I have always eaten well (and try to stay clear of alcoholic drinks!) so getting my diet right wasn’t too much of a problem for me. For the competition, I had to eat clean, count macros and be strict (no meals out or partying for me!). I think the hardest part was being prepared upfront (especially towards the end) – if we were going to visit friends or relatives over a standard meal time, I have to take my dinner with me. Surprisingly, reducing my carbs was much easier than reducing my water. I had never considered exactly how much fluid I drank in a day but when I was asked to limit myself to 5 litres (bearing in mind that the healthy recommend amount for adults is 2 litres! ), I really struggled. When you are putting your body through a strict diet and exercise regime, it can be easy to give up mentally. I overcame mental barriers by focusing on the gains that I was making (every week I noticed a difference) to stop myself from regressing. Of course, there were times that I fancied a bit of chocolate or a glass of wine (I am only human!) but by focusing on the end date, and how much time was left, it was easier to encourage myself to keep going. After all, I hadn’t worked this hard to waste it on one moment of bliss! 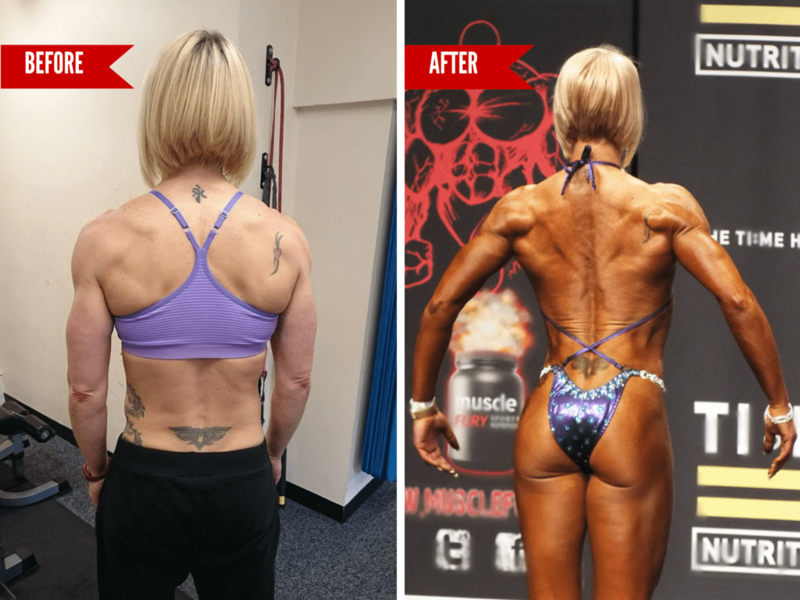 Overall, preparation for UKBFF took 9 months. Throughout there were lots of hidden preparations that I hadn’t considered when I started: weekly, early morning posing practices; getting glammed up big style; and, the biggest challenge for me, learning to walk in high heels! How did it feel to win? Honestly? Completely unexpected. When you are preparing for a competition like UKBFF you have no idea who will turn up on the day, it makes prep harder because you have nothing to compare yourself to. It means that you have to push yourself as hard as possible in order to be the best that you can be and hope that you’ve done enough. It was absolutely amazing to win – especially being at least 6 years older than those in my category. All the hard work paid off and it felt like a huge achievement. I have never competed before, so to win first time was overwhelming. And, most importantly, my partner Neil for his patience, encouragement and support throughout the whole process. A holiday! I am definitely ready for a rest and some sunshine. At the moment I am enjoying some down training before I start preparations for the next two competitions: UK British Championships on 8th/9th October and IFBB Diamond Cup 2016 on 14th-16th October. Stay tuned – it’s just the beginning!